The WTB Convict is a durable tire for aggressive downhill and enduro riding. The Convict is a purpose built tire for downhill and enduro that meets the demands of the most aggressive trail riders. This tire's beefy tread design with tall paddle-shaped center knobs and stout side knobs offers a high level of cornering grip and braking traction. It manhandles corners in a predictable and confidence inspiring fashion thanks to the very supportive Tough casing and substantial row of side knobs. Braking traction is also impressive as the center tread's vertical braking edges and stature claw into the loose stuff while siping on all the knobs grip onto firmer surfaces. This tire's cornering prowess and braking traction come with a weight penalty and a sacrifice in rolling resistance, but that's to be expected. The Convict also has a full 2-ply Tough casing that can stand up to some serious abuse, and it costs a fair bit less than the other gravity focused tires in our test. We think this a great tire and we wouldn't hesitate to mount it up on our long travel gravity oriented rigs. With a name like Convict, it would be easy to write a whole review about WTB's new gravity oriented tire that is based solely around what it's in jail for, like, the Convict got a life sentence for killing trail… We'll try and shy away from that, but forgive us if we drop in one or two of those hilarious little quips. The Convict is a newer tire in WTB's lineup, designed to meet the demands downhill and enduro riders. With a super beefy tread and their thick Tough casing, it's clear that this tire is focused on traction, cornering grip, and durability. We brought the Convict into the test to see how it compares to the other burly gravity-oriented tires. We tested it primarily as a front tire, and put it through its paces on a variety of trail types and surfaces, mostly rocky and pretty loose, around the Lake Tahoe area. Read on to find out how it stacks up against the competition. The Convict excels in loose and chunky conditions, especially when pointed downhill. The Convict begs to be ridden aggressively and it rewards the rider who dives into corners and leans the bike over with predictable and unflinching grip. This unwavering and confidence inspiring cornering grip is due to the stout row of tall alternating rectangular and L-shaped side knobs supported by the tire's Tough casing. The Convict gives you the confidence to really get your lean on in corners, even in soft sandy soil. The profile of the tire is relatively square, although slightly less square than the Maxxis Assegai, and it has a bit of an edgy feeling as you lean it over when you initiate a turn. This is due to the fact that here's a bit of space between the center tread and the side knobs, more than you'll find on the Maxxis Assegai which has more tread in that transitional zone. The transitional grip is pretty good, but cornering grip becomes excellent once the side knobs are fully engaged. The Tough casing is very supportive and never feels like it wants to roll or fold underneath you. The support of the sidewalls also allows for lower tire pressures, to a point, to further enhance cornering grip. The Convict has a seriously aggressive tread, with stout side knobs and a sturdy casing for confidence inspiring cornering grip. The Convict is top of the heap when it comes to cornering, right up there with our Editor's Choice Award-winning Maxxis Minion DHF and nearly as good as our Top Pick for Gravity Riders, the Maxxis Assegai. While they share the same high score, the Assegai edges out the Convict slightly for its better grip in the transitional zone and super sticky MaxxGrip rubber. The Convict has great pedaling traction, and again this is due to the super aggressive tread design. Those tall and wide center tread knobs work like paddles to propel you forward as you pedal through just about anything, firm or loose, they push you right along. Their squared off edges and siping helps grab onto rocks and hard surfaces and the lugs dig deep in loose and chunder-y conditions. It can also hold its own in wet conditions, it may not have all the bite of a tire like the Schwalbe Magic Mary with its tall open-spaced square tread knobs, but the wide rectangular paddles bite reasonably well in mud and are quick to clear it as well. When you're on the gas, the Convict has great pedaling traction, although due to its increased rolling resistance we're more inclined to run it as a front tire. This traction comes at the expense of rolling resistance, and in this case, you can't have it both ways. Other tires, like the Schwalbe Hans Dampf, also have great pedal traction due to the multitude of smaller squared off knobs of its tread, yet roll quite a bit faster due to the closer spacing of them. The Convict is suitable for use as either a front or rear tire, we're more inclined to run the Convict as a front tire, to enjoy its incredible cornering and braking traction, and pair it with something a little faster rolling in the rear. If you're looking for braking traction then you've come to the right place. The Convict was designed to slow your roll, and that is evident in the tall, wide, rectangular paddle-shaped knobs that make up the center tread of the tire. The back edge, or braking edge, of all the center tread knobs is vertical, so when you squeeze the brakes there's a lot of surface area there to dig in and grab a hold of whatever surface you're trying to slow down on. This results in a very controlled and confident braking feel, and dumping speed is predictable and downright awesome on all surfaces, from hardpack to deep moon dust. Few other tires in our test selection offer the same level of braking traction, but the Maxxis Assegai and the Maxxis DHR II did so in the same way. All of these tires have tall knobs and beefy treads, a contrast to the low profile center tread found on tires like the Specialized Slaughter Grid which is more prone to sliding under hard braking in loose conditions. When you're on the brakes, the Convict has your back with a consistent and comfortable braking feel. You'd be correct in assuming the Convict has a lot of rolling resistance. Any tire with huge, widely spaced, paddle-shaped center tread like this is bound to roll a little slower than most. That's the trade-off for the immense braking and pedal traction that it delivers. That said, the Fast Rolling version we tested has firmer rubber on the center tread that rolls slightly faster than its High Grip sibling. All of the center tread knobs on the Convict are ramped on their front edge which does help somewhat in easing them into the trail surface as the tire rolls along, but the size and spacing of the aggressive tread just rolls more slowly than most of the other tires in this test. Both the Maxxis Assegai and the Schwalbe Magic Mary have similarly meaty tread designs, although the Magic Mary is the slowest rolling of the bunch due to its more open spacing and lack of ramped edges. The Tough Fast Rolling version of the Convict we tested is very durable. WTB's Fast Rolling tread compound uses what they call Dual DNA, a harder durometer rubber in the center tread paired with softer rubber on the side knobs for enhanced traction and grip. The idea is that the center tread will roll faster and wear less quickly than on the High Grip version that uses their Gravity DNA and softer rubber all around. In theory, the Fast Rolling compound will wear less quickly, especially on the center tread where the majority of your pedaling and braking traction comes from, and you won't sacrifice much in the way of cornering grip. In our testing, we determined this to be the case, as the center tread still looks quite good, although we're beginning to the see the typical signs of wear on the inside of the side knobs in the form of erosion and pitting. After quite a few miles the side knobs of the Convict are beginning to show some wear, but that's all we have to report. The Tough casing of the Convict consists of a full 2 layers of casing that runs from bead to bead. It feels very thick to the touch and offers a high level of sidewall support. We experienced no issues with the casing of the Convict despite plenty of abrasion from rocky obstacles and the occasional hit to the rim while playing with lower tire pressure. These things are burly and can stand up to some serious abuse. The only other tire that has an even beefier feel is the Maxxis Assegai with its DH casing. Installing the Convict couldn't be any easier. It is very easy to get the tire onto the rim and doesn't require the use of a tire lever, it can be done completely by hand. Once on the rim, it's very easy to seat the bead on the rim with only a floor pump. In fact, the first pump of air started the process for us. Whether you're at home or even in a parking lot, the Convict is easy to install. Once seated on the rim, the Convict holds air well and only needs to be topped off occasionally like other tubeless tires. The Convict is best suited to aggressive downhill and enduro riders who put a premium on traction, cornering grip, and durability and who don't mind some extra weight in exchange. 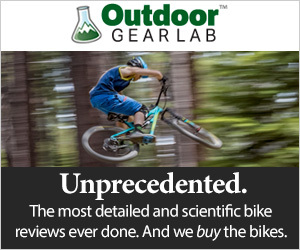 It is also suitable for trail riding, assuming you're willing to pedal its extra heft around. This tire is not for the meek, it prefers high speeds, leaning into corners at speed, and attacking the trail with authority. It is suitable as either a front or rear tire, although testers preferred it as a front tire, where they enjoyed the benefits of its cornering grip and were less affected by its rolling resistance. At a retail price of $77, the Convict isn't the cheapest tire around, but we feel that it is a good value for the gravity oriented rider. It costs less than the Maxxis Assegai and offers very similar performance and durability. Mount up a Tough Fast Rolling version in the back with a Tough High Grip in the front and you've got a great combination for smashing shuttle or bike park laps that costs less than the competition and will probably last you just as long. It's far from lightweight, but if you're an aggressive downhill or enduro rider we think the Convict is a great option. The Convict is a great option for non-weight conscious riders who value cornering grip, braking traction, and durability above all else. We'd recommend this heavyweight tire for the gravity-focused crowd who spend their days riding lifts or shuttling, although it's certainly worthy as an aggressive trail riding tire if you don't mind pedaling the extra weight around. Testers found they preferred it as a front tire where they reaped the benefits of its cornering and braking abilities the most, paired with something a little faster rolling in the rear. It was a close battle for our Top Pick for Gravity Riders Award, and in the end, it was the Maxxis Assegai that just barely took the top spot. That said, the Convict holds its own and does so at a lower price. The WTB Convict is only available for 27.5" wheels in a 2.5" width. It comes in both Light and Tough (tested) casings. In the Light casing it comes in only the High Grip rubber compound, while the Tough casing is offered in both Fast Rolling (tested) and High Grip options. Competitive Cyclist $69.95 - 9% off!